Great Danes have such unique markings and color patterns. Their most common color is fawn, which is a light tan or brown color. But they also have black coats, harlequin coats, and blue/gray coats. The harlequin coats are mostly white with scattered black markings. 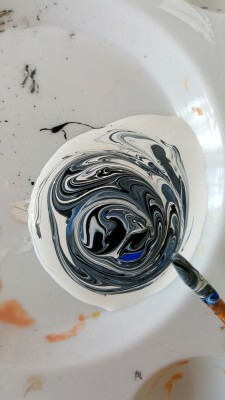 But the harlequin color is not limited to black and white. The blueish-gray coats look like a pretty silvery blue. A customer of ours has a very unique colored Great Dane. Her Great Dane is a blueish-gray with black harlequin style markings. Having a dog with a blended color coat like this makes it hard for her to find any Great Dane items that look like her dog. That’s why she came to us for a custom painted figurine. 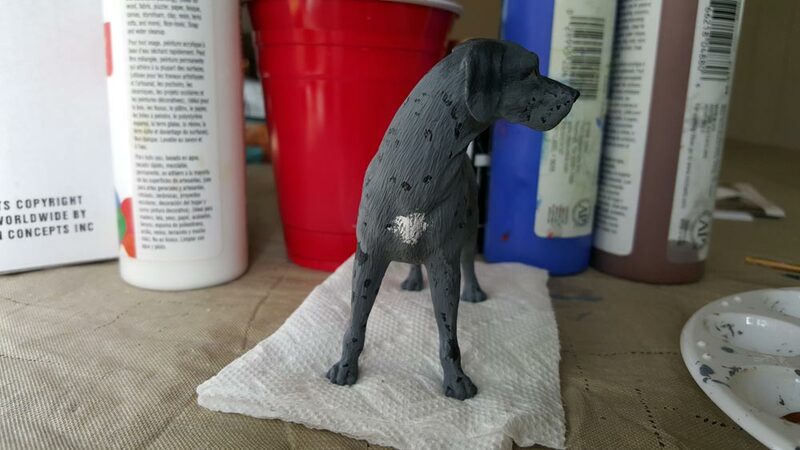 The pre-painted Great Dane figurines that we keep in stock are fawn, black, and harlequin all with the option of cropped or natural ears. She chose our harlequin figurine with uncropped ears because it looked most like her spotted Great Dane but with a different color combination. She sent us several photos so we could get a good idea of the colors of her dog, along with the dog’s markings. Her dog also has an adorable black mask on her face that she wanted to make sure we included. 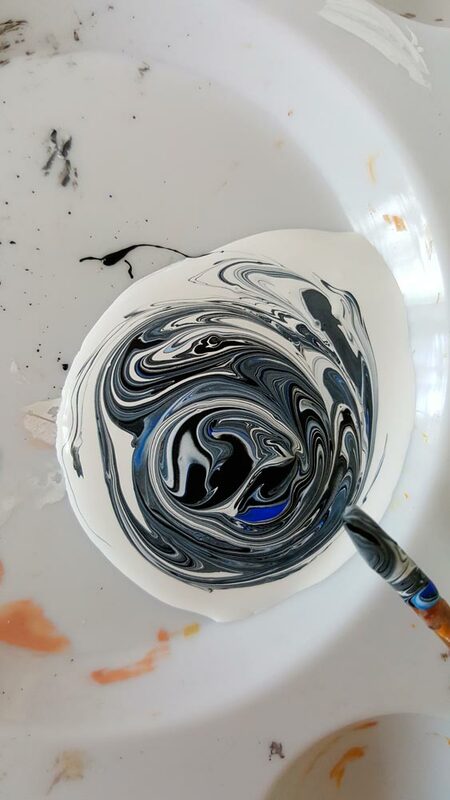 We started off by mixing some blues, blacks, and whites to get the right color to match the dog’s coat. Then we carried on to the painting process. We were sure to include all the dog’s specific details. 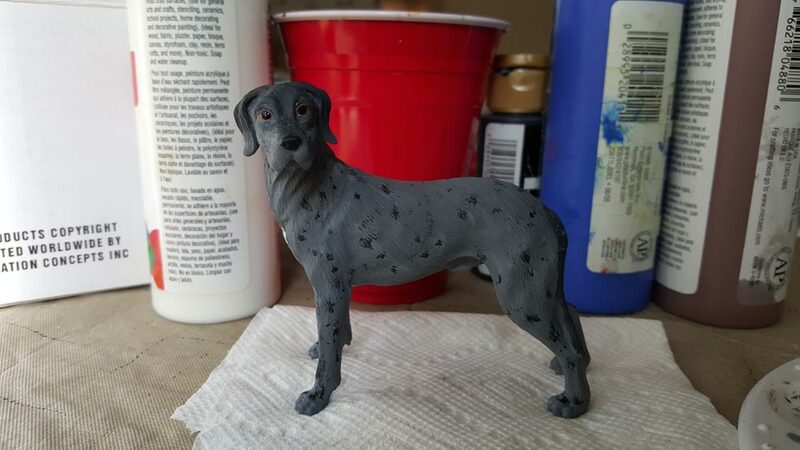 From the eye color and toe nail color, we fully customized the figurine to look just like her dog. 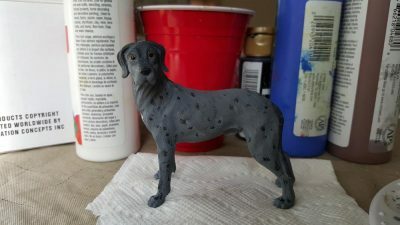 Her Great Dane has a little white patch on her chest and the majority of her body is covered in harlequin style spots. Harlequin is defined as varied, multi-colored patterns. Many dogs have “masks” or a dark color pattern that wraps around the snout and eyes of the dog. 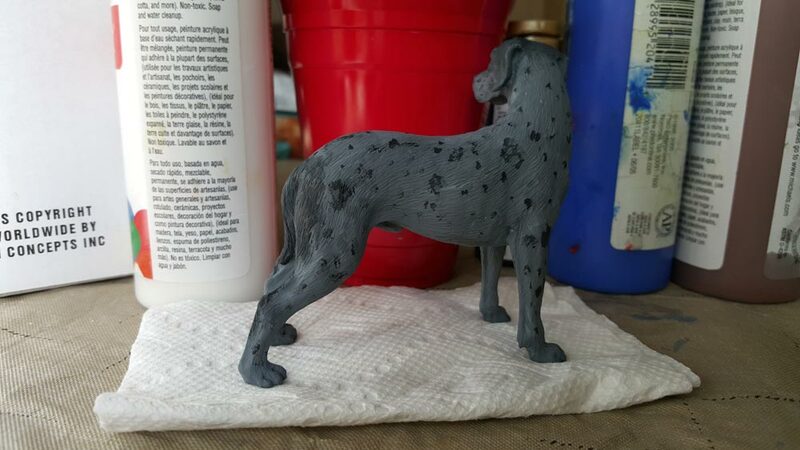 Our customer’s Great Dane has a dark colored mask which almost matches the color of the harlequin spots. After we complete the painting process, we finish off the figurine with a protective sealer. The sealer evens out the hand painted coat of the figurine and protects the paint from potential chips and fading.